Head position was moving randomly on the scene, even behind them. It was only on nolo, it happends just like that. It is even strange, becouse moving around and walking and controllers working well. *the configuration is standard over usb. Try pairing everything back up and let them charge for a few hours? Also is the light on the base station flashing green/red? How far away from the sensor are you? and are you playing in a room with too much sunlight or reflective surfaces (glass/glossy) ? Maybe try placing the headset on the floor, then double tapping the button on the head marker while it's running. This headset marker is too susceptible for interferences !!! This is an interesting and unexpected result. So not only sunlight and reflexive surfaces affect NOLO but radio waves affect it too. Holly crap. That means too much for me: turn off my mobile net, my router, and who knows what else. By the way, what about TV remote ? Should it be turned off too ? @popos1 Hi! 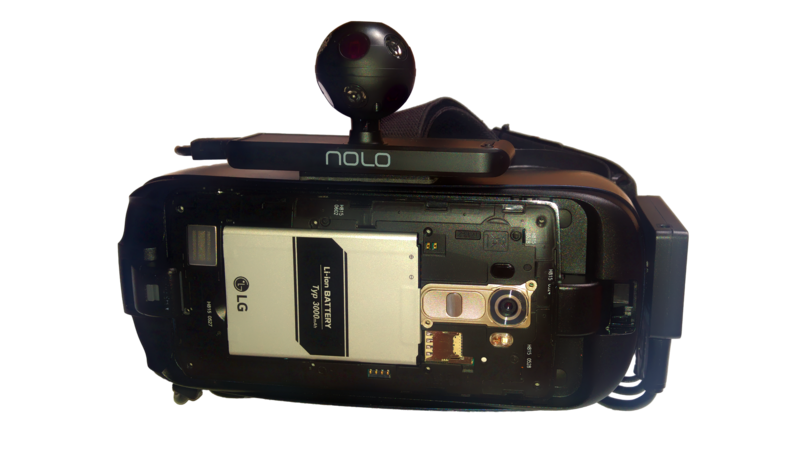 sorry to bother, but could you please elaborate your solution fo the gearvr + LG G4 + Nolo? I will create a new topic about this. What about people that do not use mobile device but Pimax and still have the bouncing problem? It is not the lights, or the base and controllers charged enough. It is the base station messed up. I can use my pimax without the nolo and its fine. The moment nolo base is turned on it bounces. I sent the data analyze but was not able to find the video recording from the program. Anyone else tried it?